This was a tough month with some really great competition. The ultimate winners both took the lead from the start and were never again within reach of any competition. From the very start of voting, Arrow's Emily Bett Rickards sprinted to the lead and despite the fierceness of the Outlander fandom voting for Sam Heughan, she was never within reach. After just narrowly missing out last month she earned a much-deserved win for her powerful performance in a brilliant episode. Early on in Due Process (7x6) someone tells Felicity Smoak Queen that she is not the Felicity Smoak he remembered to which she replies, "She couldn't catch Diaz, maybe this one can." All season long Emily Bett Rickards has taken us on a journey to Felicity's darker side. This is a woman who has had everything she holds dear taken from her and is now finding in herself to fight back and get it back. Rickards has brought Felicity so far since we first saw her as an IT tech at Queen Industries, and has been particularly masterful this season. 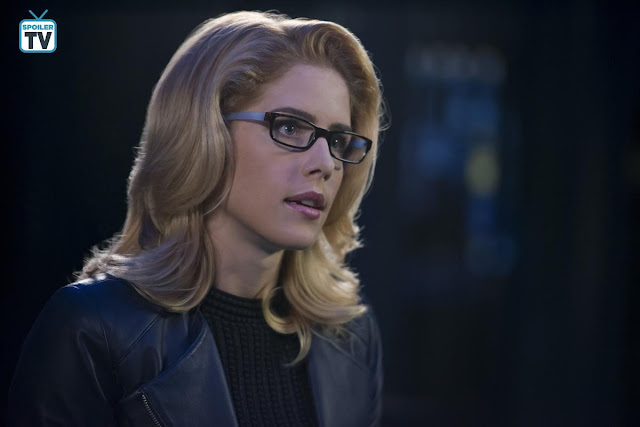 In this episode, which has earned her the title of SpoilerTV Readers’ Choice Performer of the Month for November, she exquisitely shows us just how far Felicity is willing to go to free her husband. Is the Felicity fans have known and loved capable of murder? In Rickards' hands, this is a woman who has been pushed to the brink and is teetering on the edge. 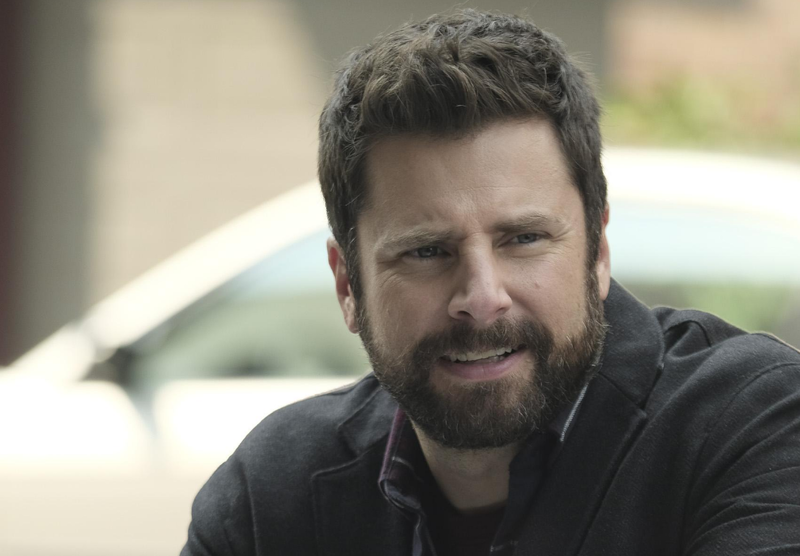 From his first scene in A Million Little Things, James Roday has been the heart of the show. The eighth episode Fight or Flight (1x8) showed every strength and burden that his character Gary Mendez carries. Until this episode, Roday has made his character a warming, comforting presence. He has covered up emotional reckonings with jokes. He has (often literally) wrapped his arms around the other characters to protect them from every dark thing. But, in Fight or Flight, it is Gary who desperately needs that hug. He shuts everyone out and fervently tries to ward off more pain. He’s been so strong for everyone else that he’s doesn’t have strength left to hold himself up. James Roday’s performance rings with an authenticity that anyone who has experienced grief or denial or desperation will recognize. You watch him hold everything in, not wanting to confide in anyone until he can’t do so anymore. He finally lashes out in a heartbreaking scene, in a destructive rage that is simultaneously a cry for help. Roday ensures that your heart is aching with Mendez’s every step of the way. And this stellar work makes him more than worthy of this recognition as the SpoilerTV Staff Choice for Performer of November. Emily Bett Rickards and James Roday’s winner articles will be out later this month. Until then feel free to use the comments to discuss these winners and their amazing fellow nominees. Thanks to all of your outstanding nominations we have a very talented list of nominees to battle it out for the November title. It'll be very interesting to see who will prevail this month with some big names competing. 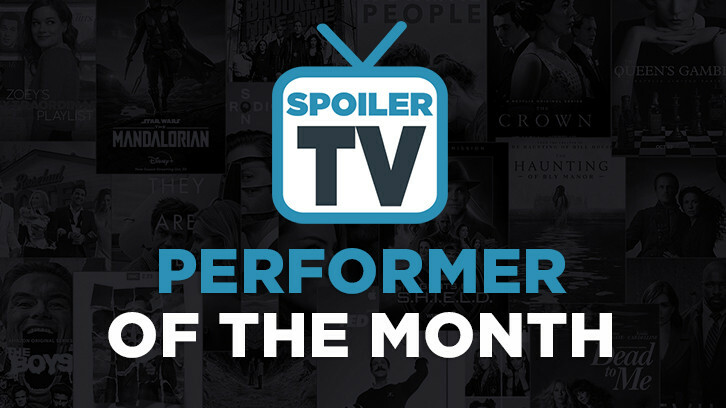 Now it's time to determine who will be our November Readers' Choice Performer of the Month. The results will remain hidden for the duration of voting. The results of this poll and the Staff voting will be revealed after the poll closes. Now comes the hard part where you can only vote for 1 performer. The poll will be live until Tuesday, December 11th at 6 pm ET. After you vote be sure to make a pitch in the comments section for what the performer you voted for most deserves to win.